Metabolism is an important part of the body’s normal functions. It is what allows us to maintain a healthy weight and burn off excess calories, among other things. So how does alcohol affect metabolism? Or, does it not affect it at all? We answer these questions and get to the bottom of things. Let’s get to the heart of the matter. Does alcohol slow metabolism? The quick answer to that question is, it depends. When consumed in moderation, alcohol can have some positive health benefits. These benefits are numerous and have been proven through scientific research. Some of them include but are not limited to boosting your metabolism. Yet, it is important to keep in mind that most alcohol beverages are high in calories. And, in general, these beverages offer few nutrients. As a result, overindulging in alcohol can result in weight gain and adverse health effects. This more than negates the positive benefits of alcoholic beverages. Of course, we haven’t included its effects on the brain. But that topic is for another day. 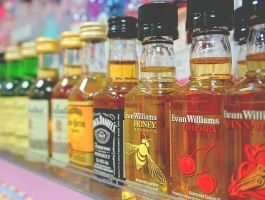 It is for this reason that the American Heart Association, despite acknowledging the heart healthy benefits of drinking alcohol like red wine, doesn’t recommend that anyone begin drinking alcohol to try and get the positive heart effects from it. The negatives just outweigh the positives. The human body cannot and does not store alcohol as it does carbohydrates and fats. So, when you drink any beverage that contains alcohol, it gives the body something that it won’t store in it. When the body metabolizes alcohol, it initiates a complex breakdown process known as the citric acid cycle. During this time, it is when the body is required to oxidize ethanol from the alcohol, into acetaldehyde. Then, to acetic acid. The process continues, wherein this is then further broken down into the end by-products of water and carbon dioxide. During this process, the body has to work quite a bit harder than usual. And when this happens you actually get some metabolic benefits. In fact, this accounts for the body burning more calories during alcohol metabolism. Several studies have confirmed that the moderate consumption of alcohol will bolster the body’s process of thermogenesis, which are the calories burned by metabolizing and digesting food and/or beverages. In fact, some studies suggest thermogenesis can be increased by nearly 30 percent via the moderate consumption of alcohol. So, in essence, moderate consumption does temporarily increase metabolism. And, that’s a good thing for anyone looking to burn off extra calories. You often hear the phrase “drink moderately” when it comes to alcohol. What does this exactly mean? And how much is this amount, so as to gain its benefits? For the record, one drink per day for women and two drinks daily for men is the recognized standard for moderate alcohol consumption. As such, one standard drink is considered to be 12 ounces of beer, 1.5 ounces of spirits, or 5 ounces of wine. And more importantly, when following a standard or reduced-calorie diet, consuming alcohol in these amounts are not likely to inhibit weight loss or contribute to weight gain. The other aspect to consider when discussing alcohol consumption and metabolism is body composition. This is also commonly known as body mass index (BMI). Body mass index is a measure of the body’s fat composition in relation to height and weight. In basic terms, it generally tells you how much you should weigh for your height. BMI charts offer a range of weight for a person’s height. The normal BMI range is considered to be 18.5 to 24.9. Meanwhile, a BMI of 25 to 29.9 is considered to be overweight. And, a BMI of 30 or more is considered to be obese. Anything under 18.5 on the other hand, means you are underweight. Longitudinal (long-term) studies conducted over several years suggest that those individuals who consume alcohol moderately are less likely to become obese than those who do not consume any alcohol at all. Yes, that’s one of the benefits of moderate alcohol consumption. Surprising at it may sound to some. Thus, the moderate consumption of alcohol is linked to lower BMI measurements. On the contrary, those individuals who drink heavily and/or overindulge in alcohol will not only counteract any metabolic boost and positive health benefits obtained from moderate alcohol consumption, but excessive drinking will result in adverse health effects and weight gain. This reverses the positive effects on metabolism as well as weight loss. And instead, slows down your metabolism. Plus, contribute you weight gain. In essence, this makes alcohol a “double-edged sword” of sorts, where balance is key. 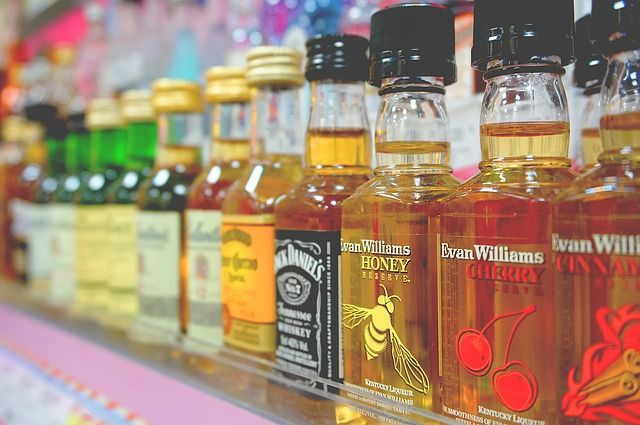 The detrimental effects of excessive alcohol are well-documented and recognized. Some of its negative effects include liver disease (cirrhosis), damage to the heart, kidneys, multi-system organ failure, advanced aging, among many other potential issues. 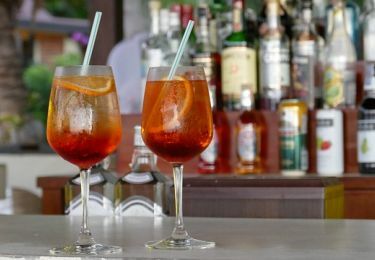 In addition to these adverse effects, those individuals who drink excessively are also much more likely to become obese. Alcohol when consumed in moderation offers many health benefits. Among them is increased metabolism and weight loss. However, because of its addictive properties, we must always be wary of consuming too much, whether it be beer, wine or liquor. Too much alcohol not only negates the positive benefits it brings. But, it also comes with a number of negative effects in both the short and long term.